Do you use the Scrivener program for your writing? 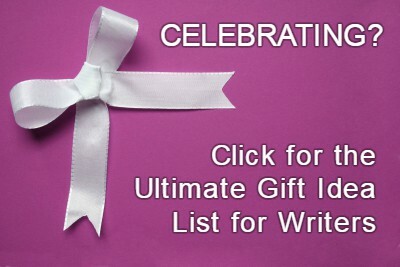 Many writers do, especially as Scrivener sponsors NaNoWriMo and offers a discount to participants. I started using Scrivener for my NaNo drafting last year and was able to buy the program at half-off because of my NaNo win. Woo hoo! Many writers like Scrivener (Windows and Mac) for its organizational features. They can lay out their scenes with virtual index cards, capture their research information, and create character sheets, all in one program. Honestly, I use about 1% of Scrivener’s capabilities and have probably forgotten more than I remember about it. 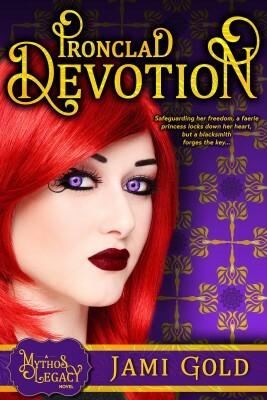 Part of my issue is I haven’t used it for ebook formatting yet. But part of it is because I write by the seat of my pants. I don’t bother putting my research or notes into the program as I draft (I currently use MS OneNote for most of that). And my pantsing ways means that I don’t do a lot of planning—much less plotting—ahead of time. Yet I’m also a source of beat sheets popular with plotters. Go figure. Last week, Samir Ramos asked me on Facebook if I had any tricks for using Scrivener with beat sheets. That’s a great question, so I wanted to share some of what came out of that discussion here. Scrivener (as far as I know) doesn’t have a function for calculating how many words each section should contain based on assigned percentages of the total word count. (If I’m wrong, someone please correct me.) Simply put, Scrivener’s a word processing application, not a math-based spreadsheet. That means any target word counts in Scrivener have to be calculated and entered manually. Not pretty. So what are our choices? Even as a pantser who doesn’t fill out beat sheets ahead of time, I still like vaguely keeping track of my word count while I draft so I stay on track. Sometimes when I’ve been stuck on what to write next, I’ve discovered my muse wasn’t giving me any ideas because it was time to do the scene for the next beat. Huh. We could fill in our expected word count in our beat sheet in MS Excel and keep an eye on our overall word count in the Scrivener Project Targets word count window (in the Windows version, this is under the Projects menu). I created a basic template with folders matching those same beats, which I use when drafting new novels. I haven’t shared this template before because it’s really basic, but maybe it will help someone. If you write in linear order (writing scenes in the final order of the story), it might be easier to bounce between programs. 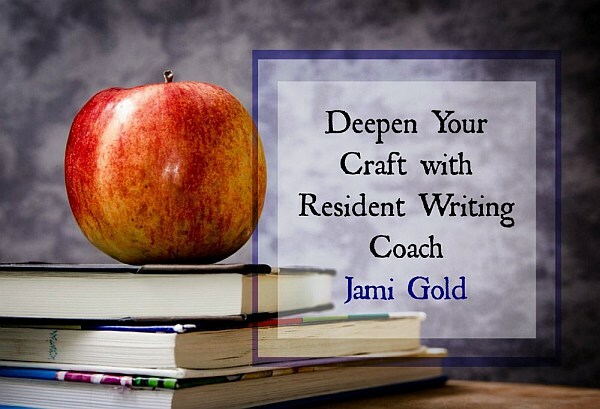 However, many writers who use Scrivener take advantage of its ability to easily create, reorder, and tweak story flow to write scenes out of order. Especially during NaNo, writers might jump to another scene that’s flowing rather than stay stuck on the next linear scene. For those writers, seeing how the word count for each beat is shaping up in Scrivener might be invaluable because the total word count won’t do them any good during drafting. If you click on the image, you’ll see those same 8 beats represented by folders on the left side of the screen. I tuck each new scene into the appropriate folder as I draft. That simple step helps me see how many scenes I have leading up to each beat. In my genre, a normal word count is 80-100K words. I set up my beat sheet and my Scrivener template for 85K because I always go over, so I figure it’s best to aim for the low end when I draft. Notice the numbers for each beat on the far right under Word Count above. The Inciting Incident is easy, 16788 words. After that, we have to figure out the difference in word count between each beat and the one before it. For example, the End of the Beginning would be 21250 minus 16788, or 4462 words, Pinch Point #1 would be 31875 minus 21250, or 10625 words, and so on. If you’re not familiar with this view in Scrivener, you click on “Manuscript” on the top left (under Binder) and then on Outliner view (the right-most middle button at the top, yellow in this image). Under View—>Outliner Columns, we can select what information we want to see here. 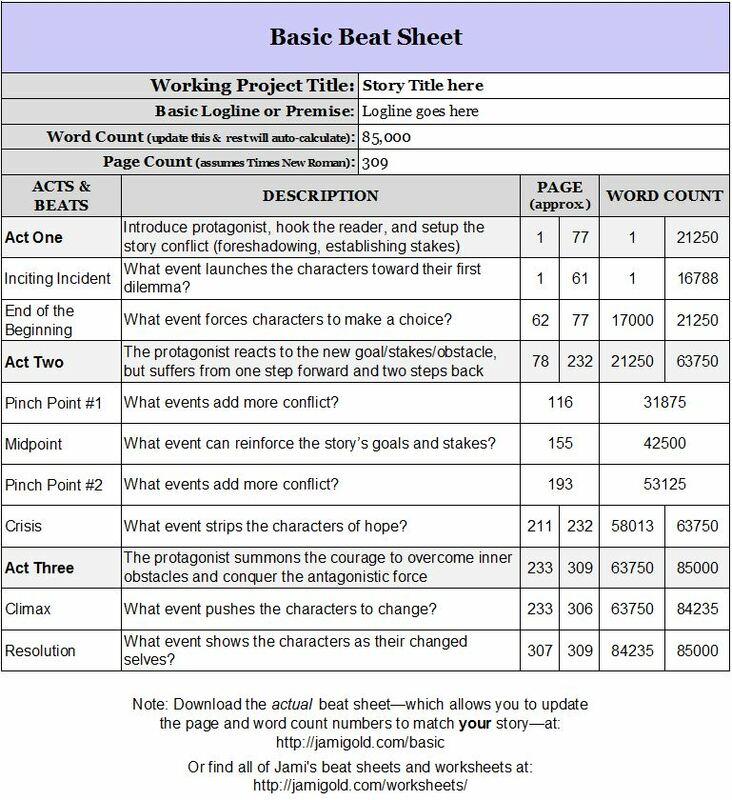 In this template, I have Title (the beat/folder name), Synopsis (what’s supposed to happen in that beat), Total Word Count (this is the actual word count for all scenes added to that folder), and Target (these are the numbers we calculated in Step Two) displaying as columns. Double click on the numbers under Target to update for your Step Two word counts. If anyone knows an easier way to set up any of these steps, please let me know in the comments. We might end up with a manuscript word count nowhere near our expected word count. As I mentioned, I plan for 85K words, but I often end up closer to 105K. Once I’ve completed my first draft, I’ll update the Basic Beat Sheet for that real total Word Count number. 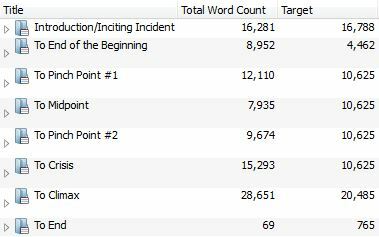 Then I can look at the scenes near those updated word count numbers for each beat and decide if I have a pacing problem or not. So rather than worrying about specific word counts while drafting, think of these folders and numbers simply as organizational tools. They remind me to avoid tangents, and they keep me from trying to brainstorm another scene when I really should be working on the next beat. The word counts are just an overview for me. Interested in this Basic Scrivener Template? Find where you moved the Jami Gold Template.scrivtemplate file and select/open the file. Jami Gold’s Template will now be available as an option in the “Fiction” section of the template chooser every time you start a new project. Do you use Scrivener? If so, do you track word count beat-sheet style? Do you have any other advice or tips for tracking word counts by beat? 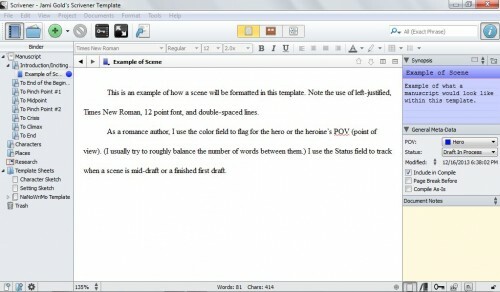 Do you use a Scrivener template? If so, which one and why? 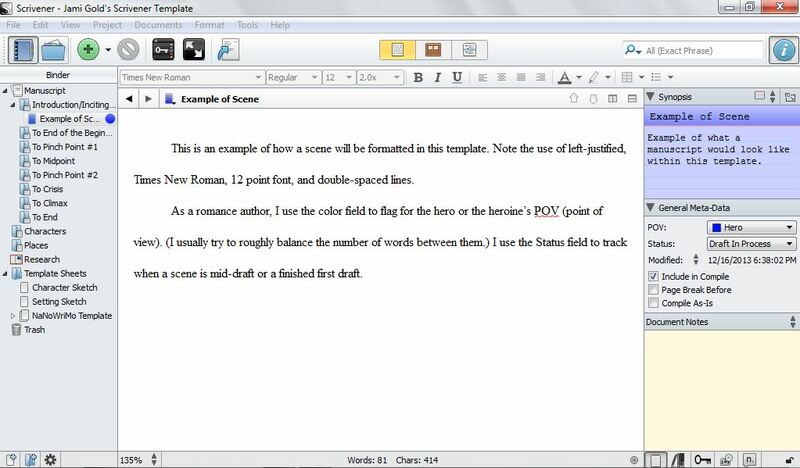 What are some of your favorite Scrivener features? Hey, Jami! This is great stuff. I’m not sure if it would work exactly for what you’re doing, but you can use a document target to set a word count target for a specific document. So, if one wanted to use a single document for each section (beat? ), then set the document target (use concentric circle button in the footer of the Editor), they would get a progress bar in the footer. You could also use this to set a target for each scene within a beat. So if you knew you were going to break the inciting incident into five scenes and needed 10,000 words, the target for each scene would be 2000. Does that make sense? Thanks for stopping by! Ah, it’s good to get the Scrivener expert’s insight. 🙂 Well, I’m glad to know that I wasn’t inaccurate or missing anything in how to make this process more streamlined. If I understand correctly, your tip wouldn’t replace this method for the Outliner view, but would add a progress meter for each scene or document on the bottom status bar. To be honest, I think I knew that (I’ve used it! ), but that was one of the many things I’d forgotten because I don’t use it that often. LOL! 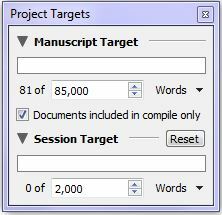 As Gwen said, every document or scene in Scrivener can be set up with target word counts as well. When on a scene or document (in the left Binder column), switch to the Editor view (the left-most center button). In that view, a target icon (concentric circles) will appear in the lower-right corner of the window. Click on that target icon to set target word counts, which will display in a progress meter alongside the icon. Thanks so much for sharing and for the comment! I love Scrivener for my ability to do something very similar. 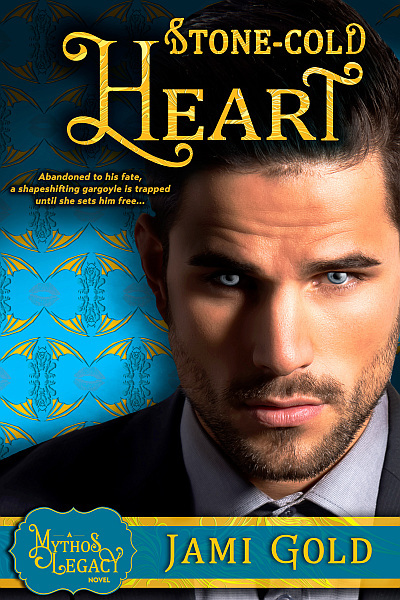 When I first started writing, I was 100% panster because…well….I had no clue what I was doing. Granted, I’m still 90% of the way away from knowing what I’m doing now, but I’m realizing I’m more of a plotter than a pantser. So, I’ve leveraged the tools in Scrivener and created my own process that mixes your beat sheet info with using the corkboard/outline/metadata features. My little OCD personality couldn’t be happier! And honestly, that’s one of the great things about Scrivener–it’s so flexible to adapt to our processes. We don’t have to use any functions we don’t want to. 🙂 Thanks for the comment! Hee. I’ll keep my fingers crossed for you. 🙂 Thanks for the comment! I just downloaded your spreadsheets today, and now I find this! Brilliant, Jami. I have been setting up a beat sheet template as well, but didn’t progress as far as setting up word targets in sections. What a great idea. Yay! I hope this helps. 🙂 Let me know if you have any questions. Thanks for the comment! Hi, guys. I have learned a lot from the comments of you. Jami has been patient and kind to me. I’m really enjoying the scrivener. It helps me organize my ideas. There is still much to discover in it, but now is being very helpful. I appreciate the sharing of ideas and experiences! Thank you for the great question! 🙂 It gave me an excuse to clean up my template a bit, so I got something out of it too. LOL! Thanks for the comment! Oh good! Let me know if you discover anything to improve this process too. 🙂 Thanks for the comment! Coming to this party late…but I downloaded the template (I have a Mac) for Scrivener Best Sheet, but it won’t open in Safari—is it me??? From the image in the post, you should be able to see how I set it up with the folders, target word counts, etc. The only other thing I did was make sure it was left-justified, Times New Roman, 12 point font, and double-spaced lines. I hope that helps! 🙂 Thanks for the comment! In fact, you do not open this file at all. It’s a template file, not a file that can be opened on its own. I use Chrome on a PC, so I know the file works for that set up. Do you have a program that can open .zip files? You have to open the .zip file first to be able to see the template file. Then you can follow the rest of the instructions. This post couldn’t be more timely! 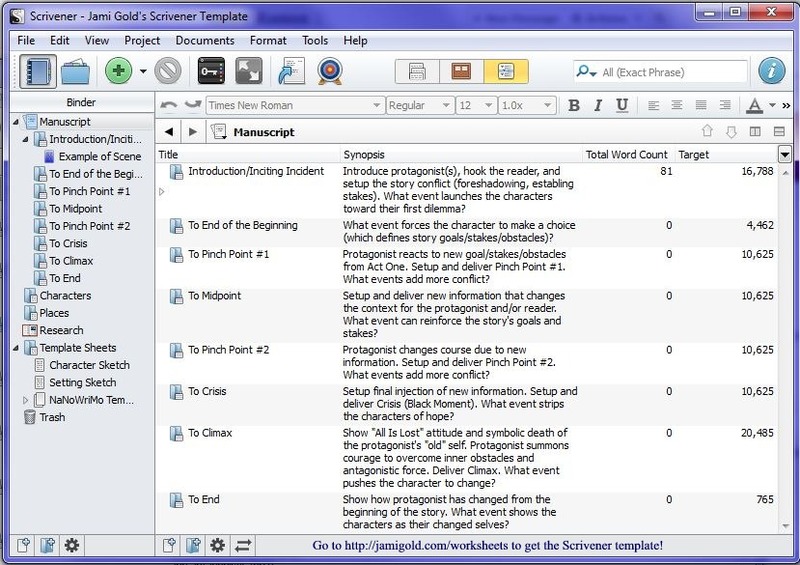 Is there a way to use your beat sheet template in scrivener for an existing project? I wasn’t sure how I could do that. Sure! You wouldn’t necessarily use the template, but you could do the same thing as far as tracking your progress. In your existing project, you could add the folders and set the target word counts for each beat folder. Then you’d just move your existing scenes into the appropriate folder to see how your project is progressing. I hope that helps–let me know if you still have questions. 🙂 Thanks for the comment! Hmm, as I mention in the post, you want to be in Outliner view, click on Manuscript, the right-most center tab (so you see all the folders), click on View–>”Outliner Columns” to make sure you have “Target” selected for one of the columns, and then click in each of the number fields under the “Target” column. You should be able to change those numbers, even after you’ve started a Project. Now, in an existing Project, you might need to create folders for each beat and move the appropriate scene documents into that folder for this to work. Basically, the Outliner view (as you can see in the image in the post) is based on the folders, and the Total Word Count column is just adding together the word counts for the scenes inside that folder. So the documents and folders need to be organized first for any of the numbers to make sense. I’m not sure if that answers your question or not. Let me know if you still have questions. 🙂 Thanks for the comment! 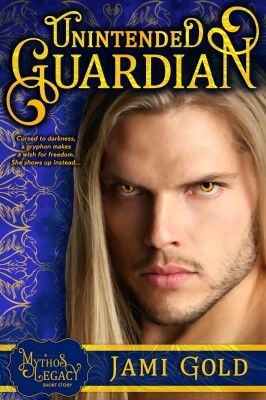 Hi Jami, just found link to your site in the Goodreads Betas Offering Services group. Excellent information. I’m a spreadsheet OCD user. Would be lost without a combination of tools: spreadsheets, databases and basic word processing. Hassle has always been organising all the stuff while writing as well. I now use spreadsheets alongside Scrivener (but don’t bother storing research in Scrivener as it makes its own copies and confuses me). Weird, random hassle I find is keeping track of all those mobile phone/texting contacts between characters! Can’t see how this can be done without spreadsheets: I give each character a column with time segments in rows, which also makes for fun when scenes need re-arranging. Agatha Christie never had this problem! Oh, so you can add additional meta-data fields? Interesting! I, by no means, claim to be a Scrivener expert. LOL! I’ve forgotten more about the program than I remember. 🙂 Thanks for sharing your insights! 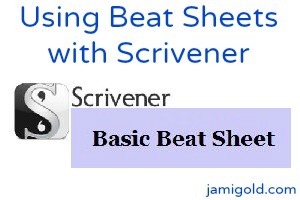 Thank you for creating and sharing this Scrivener beat sheet! As someone who loves your spreadsheet-beat-sheets, I felt this structure was something that was missing from Scrivener. While I’m still in love with Word, I’m excited to try out this tool! Thanks again – I’ve realized having just the right template seems to make all the difference in Scrivener. You’re welcome! I use these templates all the time now too. Even just having the folders for the scenes leading up to each beat help me structure my story. 🙂 Thanks for stopping by! I just downloaded the beat template and opened it up on my mac. I followed your instructions and it opened nice and easy, no problems at all. Have Scrivener 2.7 for Mac. Downloaded both Fiction and Romance templates. Can confirm that they run properly. However, unlike other templates, when selected they don’t show a blue border. For some reason I can’t fathom. But they’ll load just the same. I’ve also talked before about how–depending on the type of story–we might deal with a character’s positive, flat, or negative arc throughout a story, or we might have so many characters that it’s far easier to think of beat sheets from the perspective of the reader (and the story arc) than from any one character arc. Thanks for sharing your insights for how beats apply to different stories, genres, historical/cultural variations, etc. I love exploring story structure, so thank you! LOL! I think Synder’s approach is really to handle pacing. 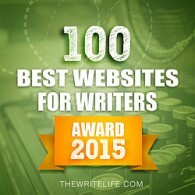 Break your story down into 15 or 18 milestones with word count guidelines. It’s unfortunate that Snyder calls this a beat. Because he has his definition. Syd Field has another definition for ‘beat’. And Robert McKee has yet another definition. So anyone who reads through these books is bound to get confused. If Snyder helps with pacing, McKee helps with scene construction and linking scenes to coherent sequences. Which neither Snyder nor Field really handle. To them, the big overview is the best you’ll get, with pointers to genre and a recommendation to watch film or read books of your target genre and break them down for analysis. Which is a worthwhile task. But McKee provides a theoretical framework these other guys don’t. Yet McKee doesn’t give practical advice on pacing. So read ’em all I guess. I did d/l your Scrivener templates. Got them to work on Mac. I have my own binder structure I’m using that includes a typical Snyderesque beat sheet. But I like the additional metadata elements, such as the POV label. I think the .xlxs spreadsheets will be of more use to me though. And thanks for them! Great point about how people use the word beat differently. I’ve adapted how I teach to try to accommodate the different definitions by talking about beats as the “things that happen” but emphasizing that beats aren’t created equal, with some changing the story more than others (hence, turning points). Thanks for the confirmation for Macs, and thanks for the comment! Good luck!